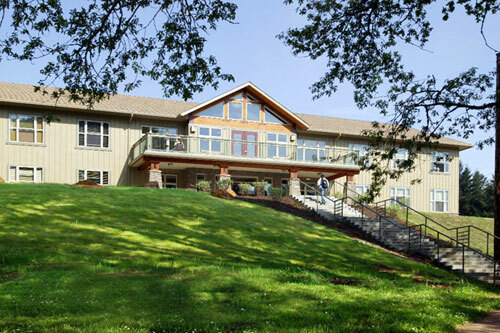 Davidson Hall, patterned after a classic Northwest cabin, houses nearly 75 male and female students on two gender-specific floors. Its facilities include community bathrooms, open community spaces, full kitchens, and laundry rooms on each floor. Exposed beams and a cozy fireplace make the second floor community space ideal for studying on cool, rainy days. The hall is named for its benefactors, Mr. and Mrs. Alton Davidson. Mr. Davidson chose to remember his late wife, Joan, with this generous gift to the University.